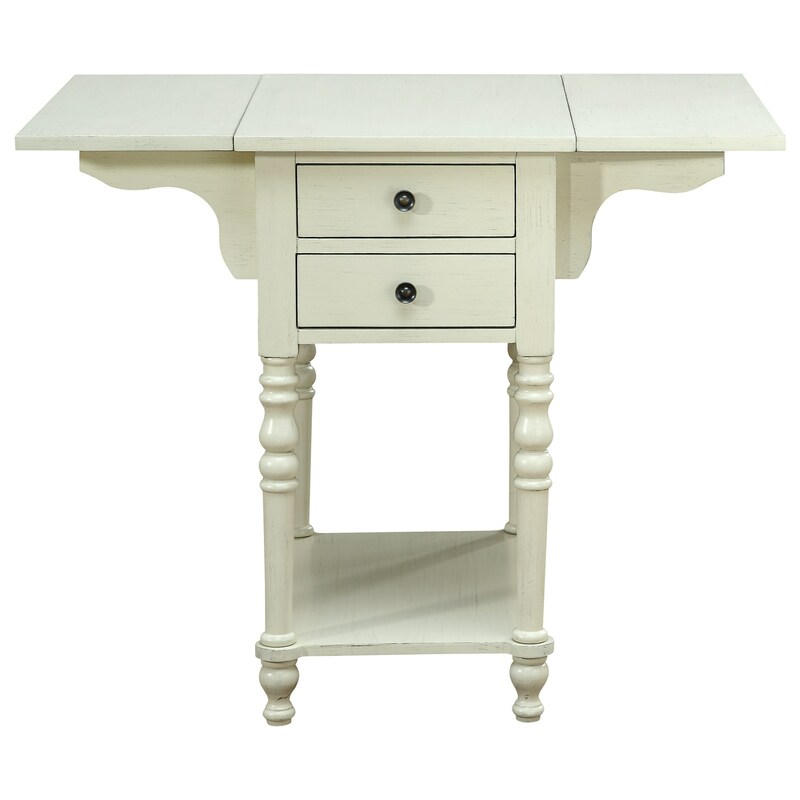 Our crisp clean Sandals Cream finish is perfect for this little drop leaf accent table, letting it blend easily with any room's décor. Use in your bath to hold candles, soaps and lotions in the two top drawers, plus a basket of cloths on the shelf below. Or in your living room next to your favorite chair, where you can put the sides up to double the surface area when your neighbor drops over for coffee. So many options! The Coast to Coast Accents Drop Leaf Two Drawer Accent Table by Coast to Coast Imports at Zak's Home in the Tri-Cities, Johnson City, Tennessee area. Product availability may vary. Contact us for the most current availability on this product.